The deal between the two Ambani brothers, Anil and Mukesh, has fallen through as Reliance Communi­cations (RCom) and Reliance Jio agreed to terminate the asset-sale agreement on Monday. RCom has cited delays in approval from the government and lenders as the reason. In a statement on Monday, RCom said the agreements dated December 28, 2017, and August 11, 2018, entered into between RCom, Reliance Telecom (RTL), and Reliance Infratel (RITL), which constitute the RCom group, on the one hand, and Reliance Jio Infocomm, on the other, for the sale of specified telecom assets had been terminated by mutual agreement because the “transactions have become incapable of being consummated in accordance with the terms thereof”. 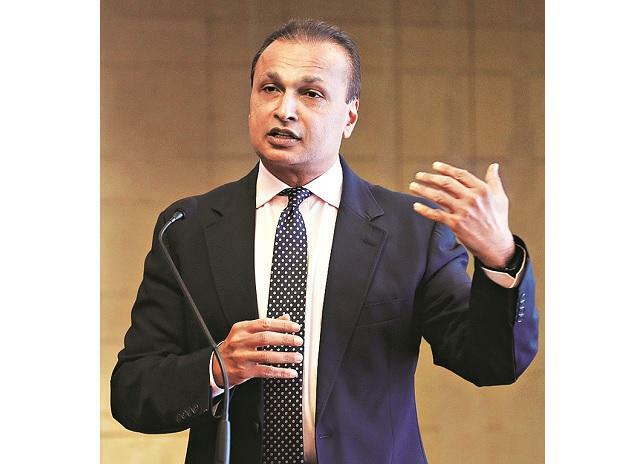 The RCom group said they were “committed to a comprehensive resolution of its overall debt, with transparency, certainty and finality, through the NCLT (National Company Law Tribunal) process”. The company said despite more than 45 meetings with lenders over 15 months, more than 40 lenders had refused to give consent to the transaction. Various approvals from the Department of Telecom (DoT) are also pending. Last month, RCom's board decided to fast-track the resolution of its debt at the NCLT. Analysts said the asset sale process would take time in the NCLT and, with further delay, the shelf life of the spectrum would be reduced, affecting valuation. “The valuation of the spectrum might come down during the insolvency process and as a result there is indeed a possibility that Jio might pick up the assets cheaper than the earlier deal. At any given time, however, if Jio wants the assets, it has an option to bid aggressively now as well,” said a Mumbai based analyst. While Jio is using RCom’s 800 MHz spectrum in some circles, it is not using its 124 MHz spectrum because the DoT has not approved it, said an analyst. After the third-quarter results, Jio spokespersons had maintained the company continued to use RCom towers and any uncertainty in the asset monetisation deal did not impact operations. “The termination of the master agreement shall not, in any manner, affect the rights and obligations of the parties, accrued prior to the date of termination,” Jio said on Monday. Jio cited the RCom entities’ application before the National Company Law Appellate Tribunal to withdraw their appeals and consequent prayer to reinstate a corporate insolvency resolution process as one of the reasons for the deal termination. At the heart of RCom's asset monetisation plan to pare its debt by around Rs 18,000 crore or so was the deal to sell spectrum to Jio. In August last year, RCom announced an agreement to sell additional spectrum in the 800 MHz band to Jio for Rs 3,500-3,700 crore. This was in addition to the 122 MHz in the same band RCom was selling to Jio as part of the asset monetisation plan, for which the two had signed a master services agreement in December 2017 to sell spectrum, towers, switching nodes and optic fibre. In February, RCom told the SC it had received Rs 790 crore of the Rs 18,100 crore it was supposed to get from the sale of its spectrum and related assets to Jio. The company also said it had not received anything from the sale of its fibre assets and related infrastructure worth Rs 5,000 crore previously to Jio.